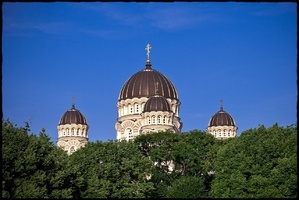 For those who are looking for off-the-beaten paths in a pretty well-traveled Europe, the Baltic countries can offer authentic experiences: from the forgotten history of Eastern Europe and their medieval roots to the struggle for independence against the Soviet regime, at the same time providing fairy-tale-like skylines throughout small towns and forests. Going on a private tour gives a possibility to choose a pace and experiences you prefer: nature, culture, history, unexpected adventure or mixture of all, the region can offer. Your private Baltic tour can be a blend of cultural, historical and natural attractions and let you discover lively modern cities, outstanding UNESCO heritage monuments, and ancient traditions. Traveling privately means traveling in comfort, escorted by a private guide and driver on the itinerary designed following your wishes. Private tours offer a personalized possibility to soak up the ambiance of each place – Latvia, Estonia, Lithuania, Poland, St. Petersburg and Helsinki. 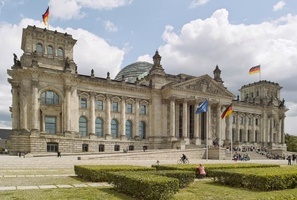 Your tour can be designed to introduce you not only to well-known attractions and adventures but also to local traditions and culture, let you choose from a number tour itineraries and various combinations of different countries in one tour. The point is that all private tours can be customized upon your wishes. Traveling on your customized private itinerary offers endless possibilities to explore the countries off the beaten track. It would be smart to visit the main highlights and also take a chance to see what is off the itineraries for group tours. A private tour to the Baltics is a good idea for a holiday if you are looking to escape from the crowdedness of other European countries but seek comfort and high standard services. Eight exciting days filled with Baltic highlights, starting in Vilnius, the vibrant Lithuanian capital. Continue to Riga stopping at the unique Hill of Crosses, and baroque Rundale palace. After exploring the Latvian capital, continue to your final destination, Tallinn with one of the best preserved medieval old towns in Europe! Enjoy private intercity transfers and your private local guides. This private tour of Lithuania, Latvia, Estonia, and Finland offers private sightseeing of Old Towns of the capitals as well as the beautiful countryside and cities connecting the capitals. Enjoy the luxury of private touring. VILNIUS- KLAIPEDA - RIGA - TALLINN Centrally located hotels, sightseeing tours with private guides in Vilnius, Klaipeda, Tallinn and Riga, transfers in private cars/minivans with English speaking private drivers. 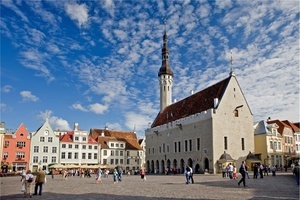 TALLINN-VIHULA-TARTU-MARCIENA -DAUGAVPILS-VILNIUS-LIEPAJA-RIGA- New 2019 program. The Baltic itinerary off the beaten track with your private guide in a 1st class private car, exploring Baltic capitals and charming Baltic towns in Estonia, Latvia and Lithuania. The luxury of private touring!